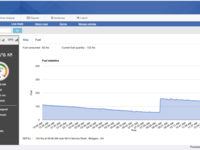 Cloud based fleet management software, built over Google Cloud Platform using load balanced servers for diverse hardware communication. Integrates with any GPS tracker on demand. Built using AJAX & Server push frameworks, the UI rendering & updates are automatic. Software customization upon demand at extra cost. 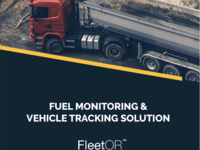 Accurate Fuel Level detection using in-built algorithms. Live tracking, Odometer, Fuel Level, Speed displays. History Tracking, Event geo-mapping. Useful and detailed reports. We are happy with your products actively using it since over a year time. Pros: It's simple to use by any common person. Less complicated when it comes to generate reports. The software is well developed now. Cons: Presently nothing as such we have beared, once the server was a bit lagged due to internal issues which got cleared before we called them for assistance. Helps in tracking vehicles at real time Gps positions. 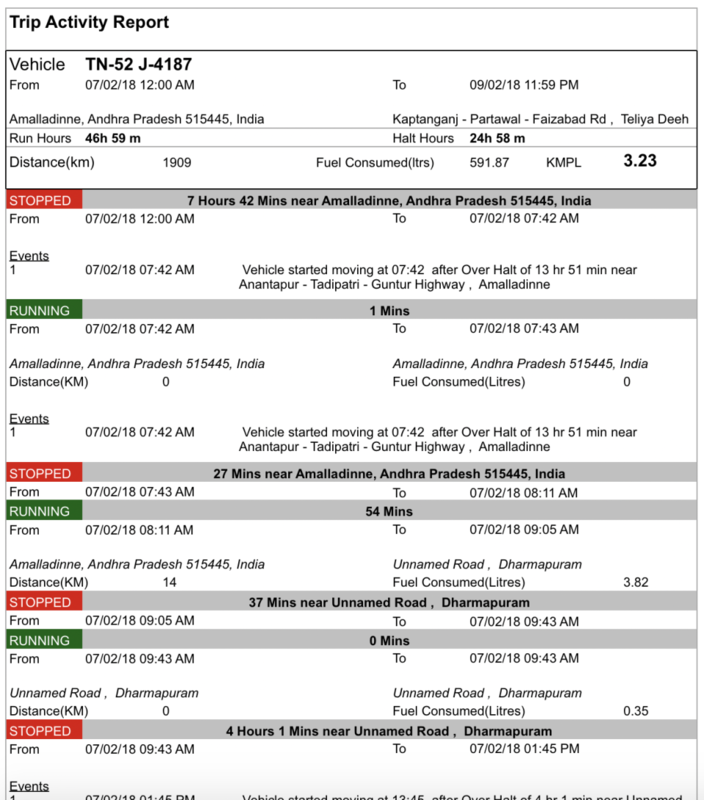 Provides route map of vehicle journey and loss of hours due to drivers halting vehicles . Cons: Some minor networking issues.when vehicles enter in rural areas some time vehicle shows in no data. Need to improve more in accuracy though accuracy is 96%. Pros: Easy installation, customisation data accuracy and portability . The device is easy to install and can be used in multiple vehicles. The data from the device is tabulated into a structured report very useful for data validation and performance establishment. Cons: Data from ECUs should be tapped using CANBUS instead of external sensors, With the growing needs of the customer the depends on external sensors needs to be shifted to data from OBD and CAN. We are getting accurate mileages of our trucks and fuel theft cases are completely stopped. "Earlier we had tried many different GPS vehicle tracking solutions from many companies. No company offered fuel refill/theft detection. Solution by ORMAT has really proved to be the best. Its Odometer reading & Fuel Monitoring is the best in the market. We are getting accurate mileages of our trucks and fuel theft cases are completely stopped. It is installed in our trucks, cement carrying bulker and tipper trucks. 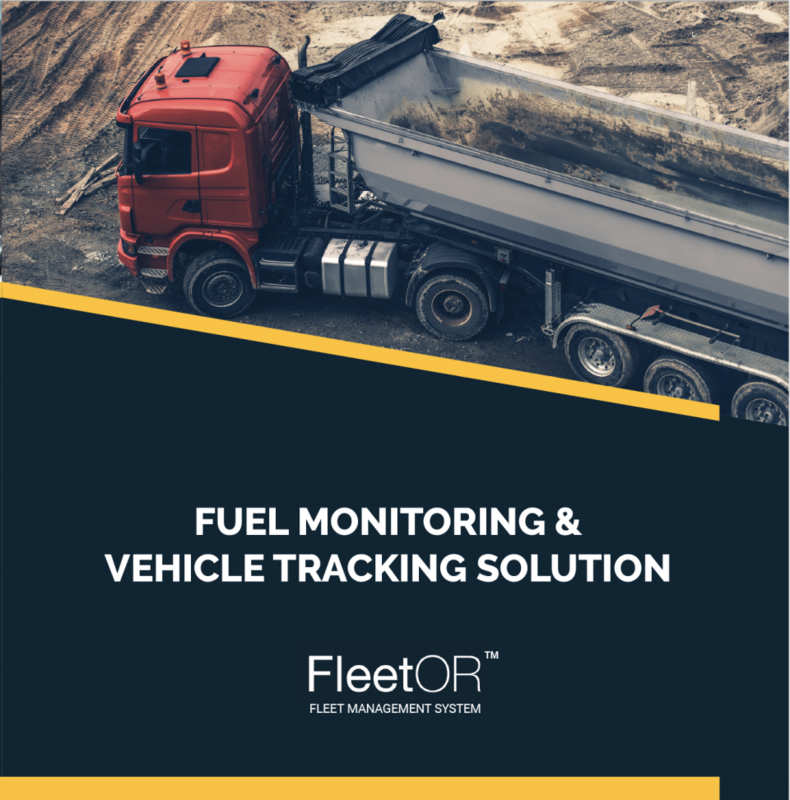 We are very happy with this Diesel monitoring solution. We are using RMC Vehicle tracking system by ORMAT. It constantly detects when Drum rotation starts and when it stops. No need to call drivers and check. Now we can calculate mileage of RMC vehicles accurately when its on load and when without load. I recommend it to all RMC business owners." 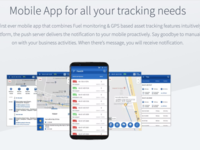 Comments: Hi, we have taken services of the other sofware providers in karnataka in fuel monitoring and GPS tracking, but the service from ormat is an exception. 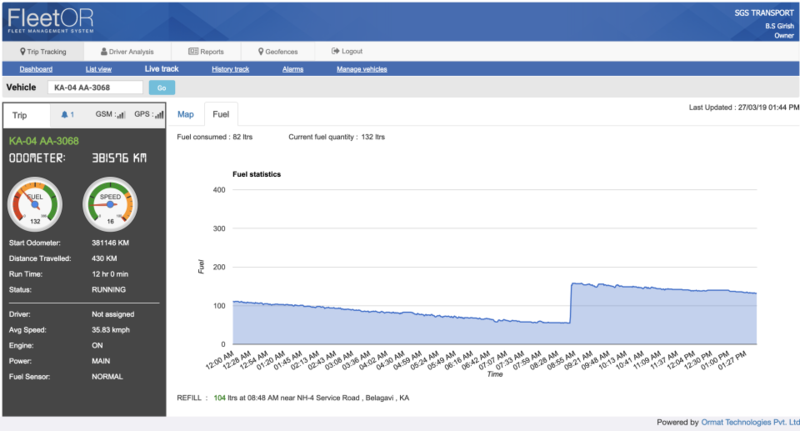 we have received the exact filling of fuel and exact location of the vehicle moving and parked only from the ormat software where in other software companies failed to provide the same. the service provided at the time of failure is also excellent, which one can as a proprietor should appreciate the same. In simple words best of all. 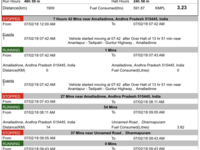 Comments: Very good product, tracks fuel refill, consumed, theft , real time location of vehicle along with speed. What can be done more ? will be help full to have all the fleet location on a single map.